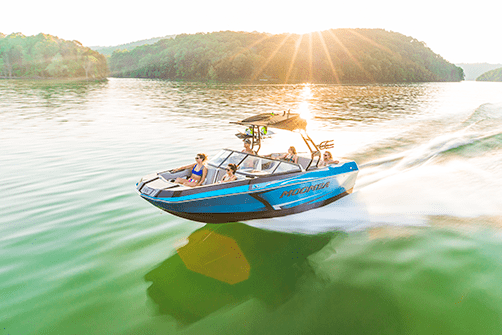 When it comes to buying a boat today, in many cases the experience works virtually the same as it would 10, 20, or even 30 years ago. You drive to the dealership, talk to a salesman, look at a few options, negotiate, then maybe you have a deal. Nothing about this method is inherently bad, it just takes a lot of time and effort. Today things such as ordering groceries or getting a ride home is as simple as clicking a button. We think it's about time to meet the demands of people who shop in the 21st century. Introducing SouthTown’s Concierge Sales program. It’s designed to change how you shop for a boat and make it as simple and painless as a modern shopping experience should be. Watch as that boat shows up right where you are, whenever it’s convenient. So whether it’s at your home, at your office, or really anywhere that you spend time, our brand enthusiasts are ready to bring our showroom to you and allow you all the time you need to dig through your favorite models. No more driving to the dealership, no more salesmen, and no more rushing to make a decision. Just a convenient boat shopping experience at your own pace, as it should be. Give it a try by clicking the button below, browsing our inventory, and scheduling your first concierge appointment today.